No space for a wood burning pizza oven? Now you can make delicious pizzas without having to sacrifice much needed space! 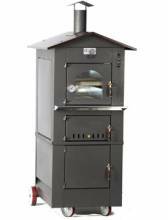 Single and double chamber pizza ovens available. The Entry Max pizza ovens are practical and optimal for cafes, restaurants and bakeries looking to make pizzas, bread, and much more! These ovens are practical and functional for any sized kitchen. Slow day? 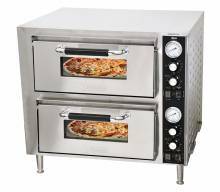 Opt for 2 single chamber pizza ovens, rather than a double chamber, to accommodate the fluctuating pace of your establishment!